The vertical antenna is as we know it is an omni directional antenna, this means that its radiating field is in all directions equal. All these antennas have there own capabilities. And there are many variants within those mentioned above. Luckily we can bring all back to the basic. It is just not possible that a 5/8 wave vertical is several S-units stronger then a half wave. (in local conversations) The person who thinks this was the case with him, has probably have to take a look for an answer in a other direction say..height, new coax, perhaps the connectors are connected now correct, in the worst case the receiving S-needle is just way to optimistic. It is possible from time to time in DXing situations but this is only due to different take-off angles. The Gain produced by a half-wave vertical(Antron 99/Bandit etc) is nothing over a Dipole. 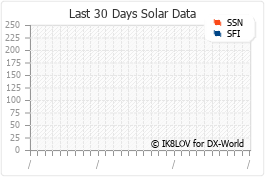 Because it is a Dipole., all stories with gain (11dBI etc...) not true! 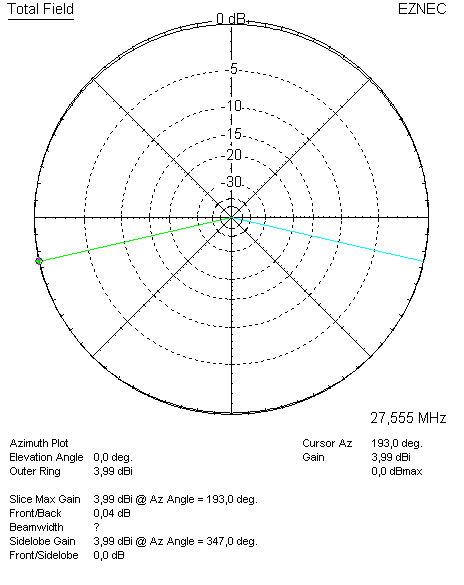 The Gain produced by a 5/8 wave vertical is about 1,5 dB over a Dipole. anything else is not true! 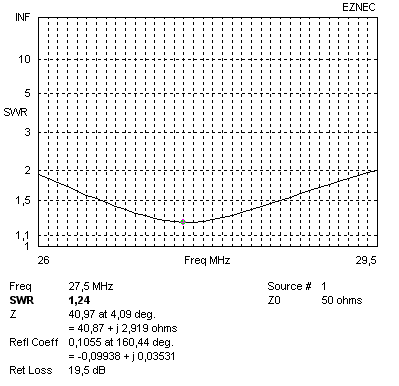 Overall, there is no different between antennas with the same length except diameter, price, how the antenna is made resonant (SWR). But the electrical capabilities are all the same! With antennas longer then 5/8 wavelength, the DX results will go down. The reason for this is that the bundle of radiation brakes up in to several smaller bundles. A vertical antenna has a very low radiation pattern from its own and does not depend on height as much as a horizontal antenna does (over good ground). 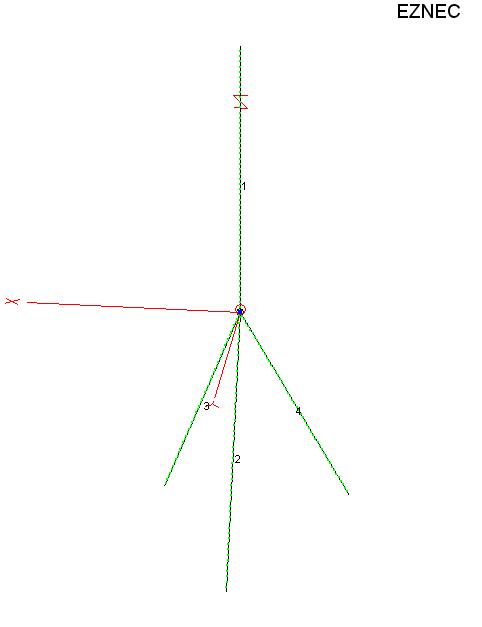 And a vertical antenna is often omni-directional, so extra cost with rotators do not come in. 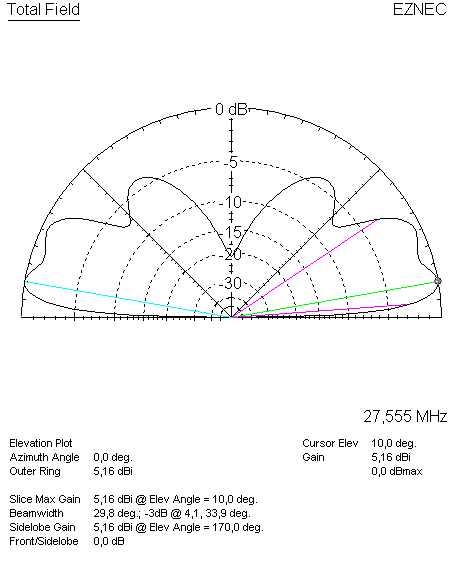 By going through the site you can learn how the take-off angle is of influence and at what height a horizontal antenna might be better for you. The low take-off angle is the advantage where DX-expeditions take effort from. But only over good ground this is the case (water, grass etc.) above industrial ground or desert ground this advantage does not exist! I keep hearing of all the noise stories on the vertical antenna, this just might cause u did not hear that station calling. The gain (when u do not want to change that omni-directional pattern) is very marginal. A vertical can cause TVI or any other for of interference at the neighbors this compared to a horizontal one. All in one the vertical has it pluses and minuses but definitely will never be of the playground when people started looking for an antenna for their purpose.